Do you know that your daily practices can cause acne breakouts? When you’ve got facial acne, it is not a joke. It makes your facial skin look awful and feeling appalling. 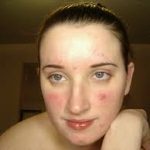 Sometimes, what cause acne breakouts on your face is wrong skin care practice you engage in. 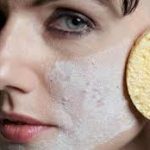 Your day to day skin care routine can actually be what is causing the acne breakout you are suffering from. Do all you can to say away from these wrong face practices to take charge of your facial look. Often times, we unconsciously use our hands to support our face and jaw. We exert pressure on the face when we do this. Touching your face unconsciously a number of times during the day are among the things that cause acne breakouts on your chin and jawline. 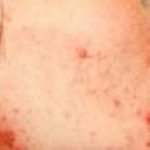 The reason why touching your face cause acne breakouts is your hands may be dirty and infested with germs contacted while carrying out your tasks. Thus, your hands are effective proliferation ground for every form of pimple- causing bacteria. You can prevent such breakouts by consciously avoiding touching your face over and over during the day. Also, try to take away your mobile phone as much as possible from your face because the too might be infest with bacteria that cause acne breakouts. If you must touch your face, wash your hands and ensure that it is clean before you do that. If you use make up quite a lot, it is good to know that the use of expired makeup products can attract harmful bacteria to your skin. The bacteria can cause acne breakouts. You may be susceptible to this if you take for granted proper care of your makeup tools. Your makeup sponges, brushes, pads and things you use to apply make ups are filled with pore-clogging bacteria. They can lead to dead skin cells and are major cause of acne instigators. Makeup sponge should only be used once and discarded into the dust bin. Other make up brushes and means of application should be washed once every week to keep them clean and free from bacteria infestation. If your acne breakouts appear majorly on your forehead and closed to your hairline, your hair products might be held responsible. A lot of hair products is made up of oils, silicones and plasticizers which block pores and cause acne breakouts. Avoid the use of hairsprays and gels that re made up of the above active ingredients especially if you want to style your hair to touch your face. It is better to go for fragrance free natural non-comedogenic hair products that doesn’t block skin pores. In addition, use a towel to cover your whole face any time you are applying hair sprays. Even though it is enjoyable to have hot showers but they aren’t good for your skin and can cause acne breakouts. Some food dessert like fried foods and extended hot showers can harm the outermost portion of the skin. The skin naturally produces a slight film of oil that helps it to keep protecting moisture. Hot showers eliminate this oil. 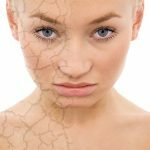 This results to very dry and sore skin which can aggravate your acne. The use of dirty bed sheets can cause acne breakouts. Dirty sheets and pillow cases that touch our faces for about eight hours every day can turn into a breeding ground for acne causing bacteria. You could be transferring the bacteria unto your face when you use it for your sleep. This can cause acne breakouts on your face. The use of perfume on our face can as well cause acne breakouts. Allowing sweat to settle down on your skin can cause acne breakouts. Always shower after profuse sweats to keep you skin healthier and free from acne breakouts.